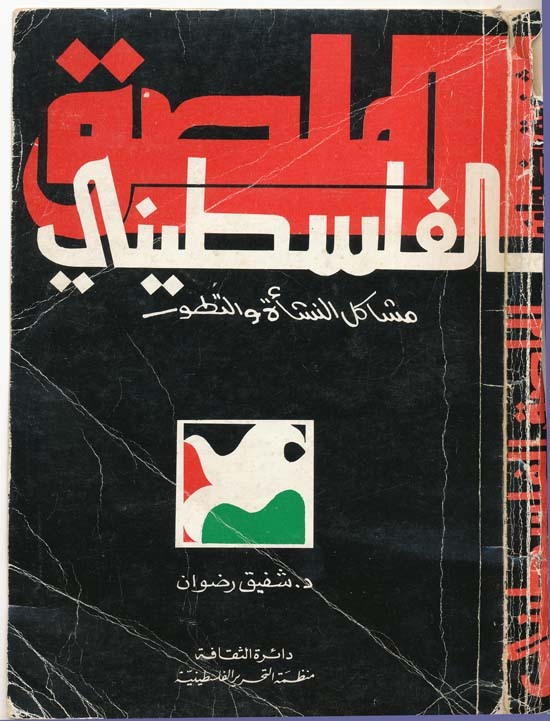 Curators note: This is the cover of the book by Dr. Shafiq Radwan, "The Palestinian Poster". This book is the published version of his doctoral dissertation from the University of Moscow. It was published by the PLO in 1992 and it deals with the rise of the poster as a Palestinian nationalist media and propaganda resource. The cover art is a detail of a poster by Kamal Boullata: Palestine Lives.